We have a collaborative community at the Food Fort. We see it everyday as members share ideas, pass on recipe hints and brainstorm with each other on the next special or business concept. This past week, we saw true team spirit shine through. Brian Thornton from OH! Burgers had the transmission die on his food truck. It would take $2500 and three or more days to fix the problem. In the meantime, the key to have a profitable mobile food business is to have the ability to…..move. We thought of some different solutions: attaching a horse or mule team to the truck, borrowing another truck or sitting on the curb despondent about three days of lost business. In a short time better plans came together. Here is the recipe for getting Brian on the road. 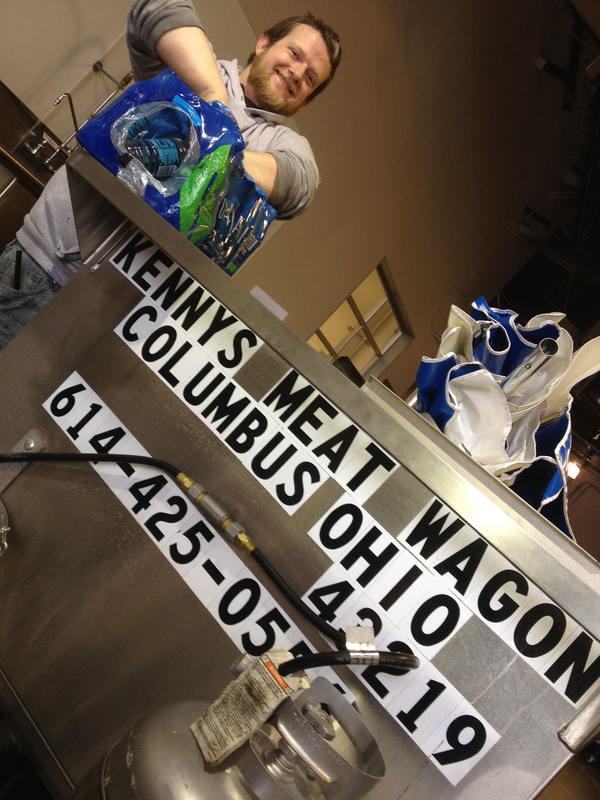 Brian borrowed the Kenny’s Meat Wagon cart from Ken Donnelly and was loaned an SUV with a towing hitch by Alex from Tatoheads. 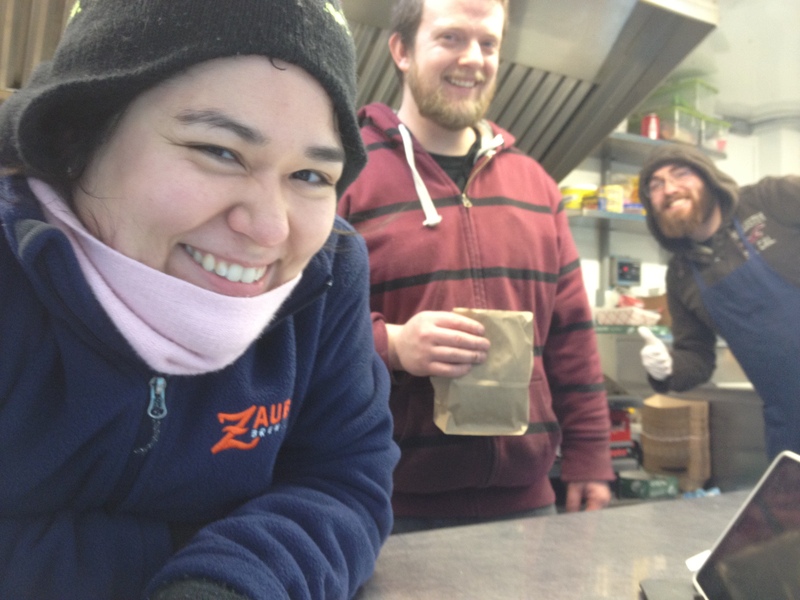 For Friday, Laura Lee of Ajumama opted not to take the day off and instead partnered with Brian to do a pop-up combo on her truck. 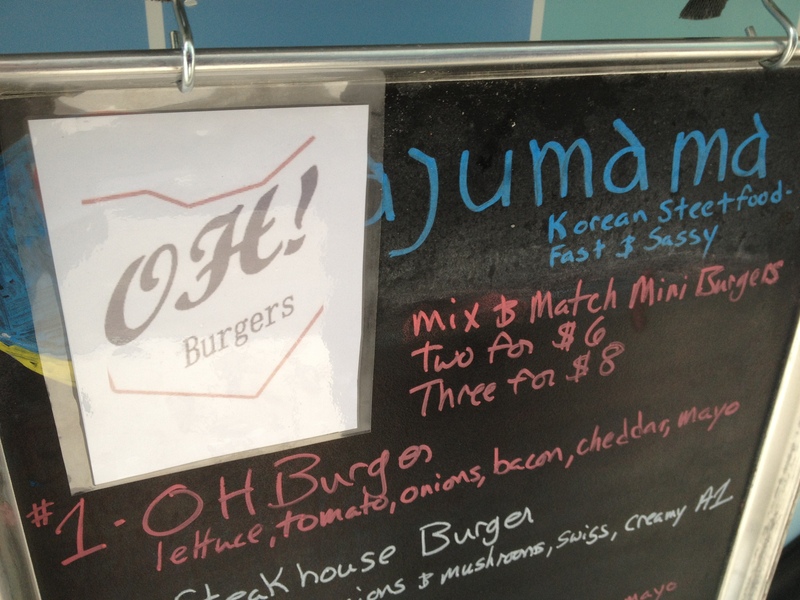 The two partnered with special items from the Ajumama menu and select items from OH! 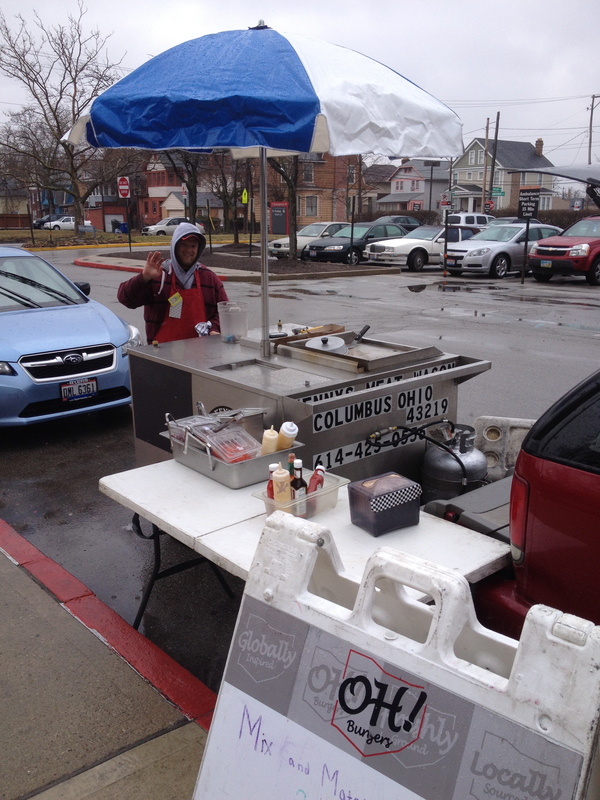 Burgers, so the two could work together to have Aju-Burgers / OH!Jumama set up for lunch at an OSU medical facility. (Please note the infamous, MikeGuyver, in the background of the shot with a thumbs up). 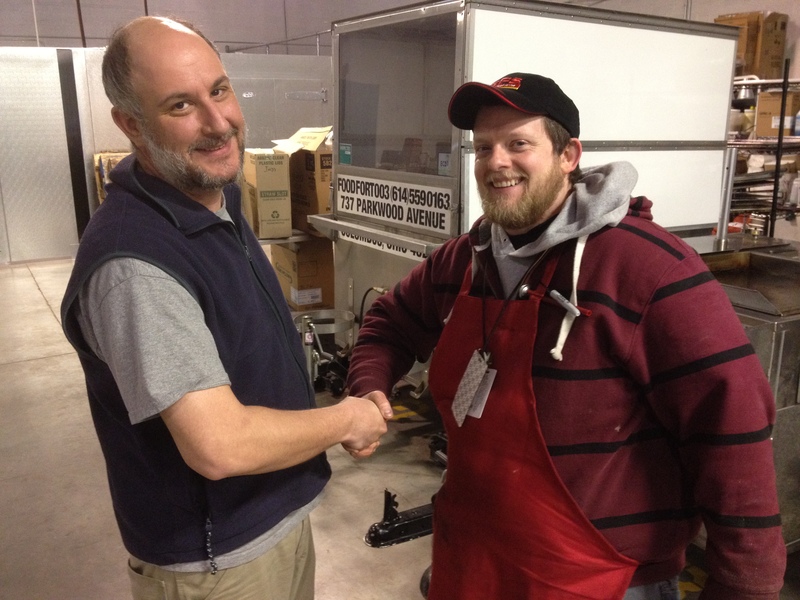 Friday night, Brian picked up his truck at 5:00 pm and raced to the Instaband Battle of Bands Competition with his repaired OH! Burgers truck but had a back up plan of borrowing the Kenny’s Meat Wagon Cart or having another member sub for him. Kenny worked the truck with Brian to complete the circle.